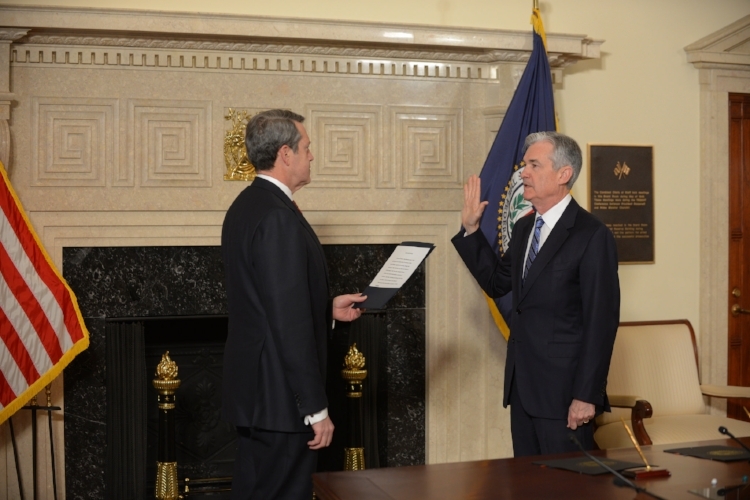 As of February 5th 2018, Jerome Powell was sworn in as Chairman of the Federal Reserve Board, marking the end of Janet Yellen’s term. Yellen, who headed the Fed during the Obama administration, was praised highly by President Trump for her integral part in stimulating economic recovery following the 2008 financial crisis. Even with such glowing remarks, Trump chose to nominate someone else and now Powell is stepping into the driver seat, tasked with preserving the precarious equilibrium that exists between an economic downturn and an overheating. Historically, the Federal Reserve has been a separate entity from the executive and legislative branches, utilizing tools of monetary policy to promote economic growth. It is no surprise that worries of Trump over-extending his political power to influence the Fed’s actions hang heavy in the air. Powell was met with concerns over his economic experience and comprehension of monetary policy throughout his nomination. However, his time with the Fed under both Bernanke and Yellen, as well as his experience on Wall Street, has given him a unique perspective that challenges the typical economist Chair appointment. Throughout his time at the Fed, Powell has voiced a very centrist perspective, siding with the majority that Yellen spearheaded. At a Fed debate in 2012, Powell expressed concerns that stimulus policies may generate a “much larger balance sheet with likely benefits that are not commensurate to the risks that we're bearing.” If this is any indication, Powell will most likely continue the Fed’s gradual retreat from its campaign of financial stimulus. Years of quantitative easing has burdened the Fed with quite an accumulation of assets and Powell must guide the Fed as it plans to unload these assets into a market that has recently demonstrated its unpredictability. On the issue of interest rates, Powell has made it clear that he plans to continue raising them. Economists, as well as Wall Street, have expressed concerns over the speed at which the increases occur, putting Powell under immediate pressure to ensure that the economy does not overheat. As the market has shown, what goes up can come down just as quickly. Moreover, Powell must recognize that raising interest rates too quickly may cause a downturn, as it has in the past. As of now, plans for a December hike in interest rates are being discussed, but nothing has been defined. Though it is only his first week on the job, Powell faces a monumental task of ensuring the economy stays strong under the Trump administration. The public must remember that the Fed is not a one-person show. All decisions on interest rates, regulations, and asset sales are made by committees that draw on its members from all of the Fed’s branches across the United States. Alan Greenspan’s inability to stop the economy from tumbling in the first two months of his term may serve as a valuable lesson to Powell as he takes the reigns.